Zane Benefits, the leader in individual health insurance reimbursement for small businesses, announced today the publication of a new eBook, "How to Build an Awesome Company Culture." The guide helps small and growing companies define their company vision, recruit and retain the best employees, and become an employer of choice. 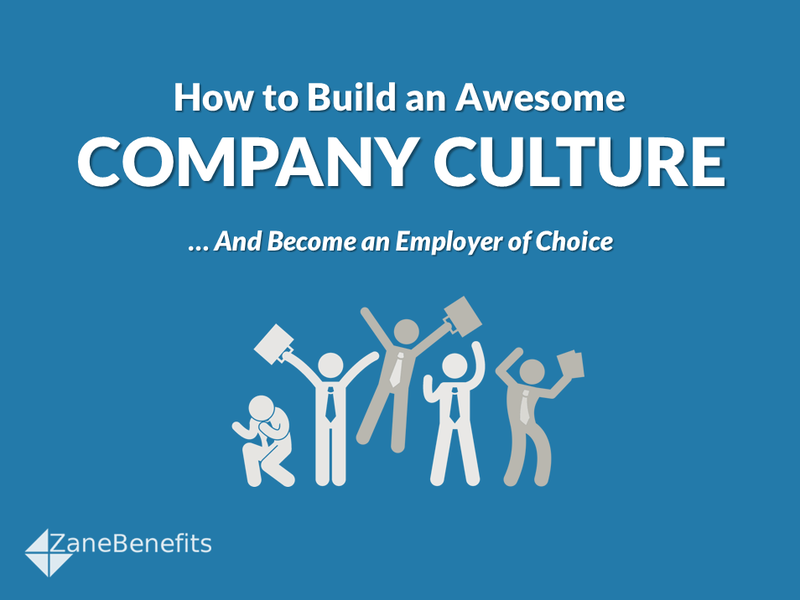 According to Zane Benefits, building an awesome company culture helps companies recruit top candidates, retain valued staff, and successfully grow the company. Many small and growing companies, however, struggle to know where to start with company culture, and which perks and benefits really help recruit and retain the best employees. The new guide helps small business owners, CEOs, and HR professionals understand how to build an awesome company culture through employee engagement, communication, employee development, company organization, and low-cost benefits and perks.